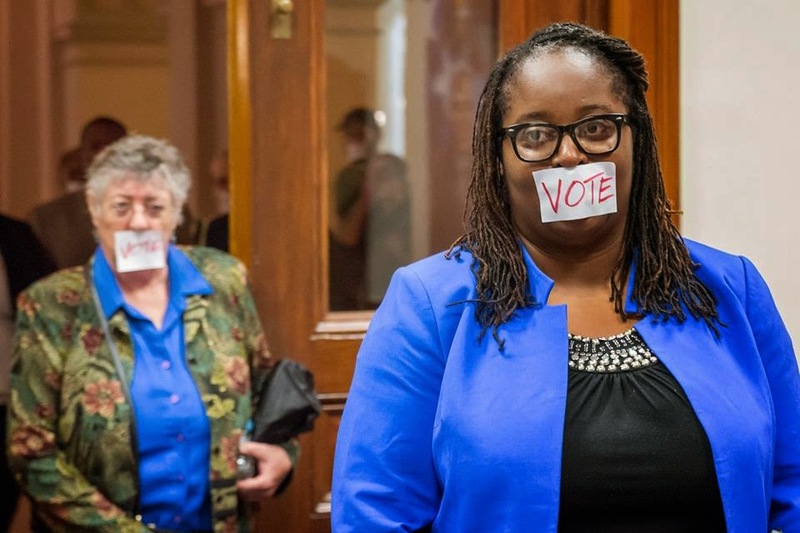 Moral Monday Moves Forward in Georgia!! 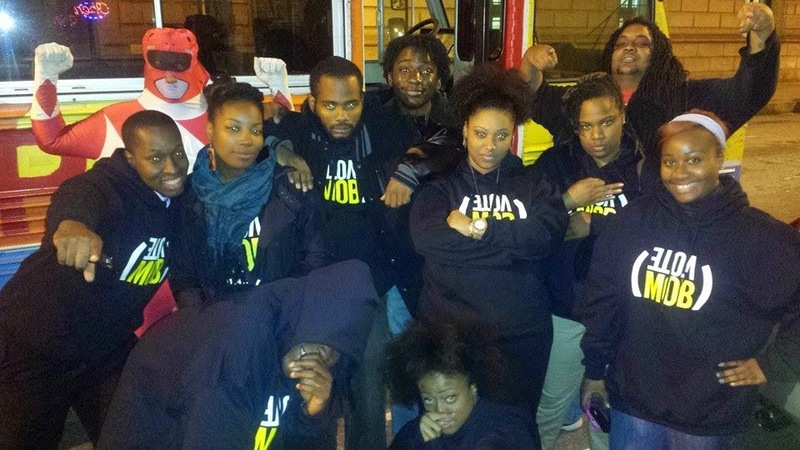 Last night, we all received the announcement by the St. Louis Grand Jury that the killer of Mike Brown will not be held accountable for his actions. 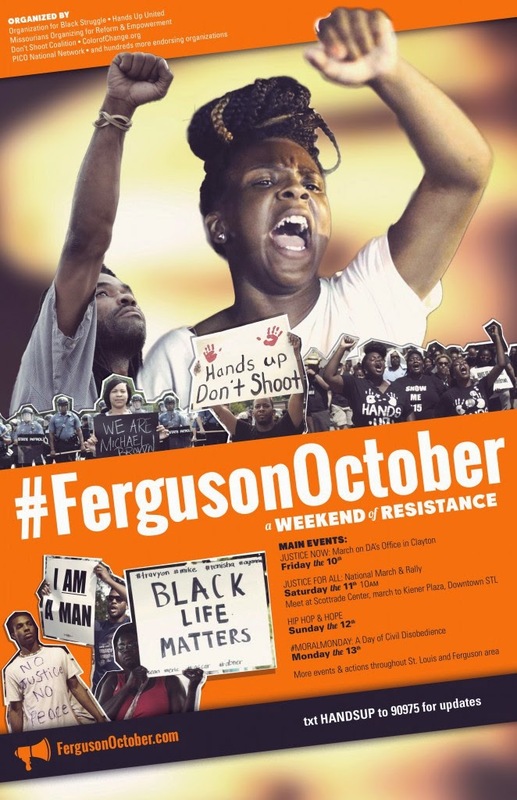 The calls to question the metes and bounds of value of Black life in America. 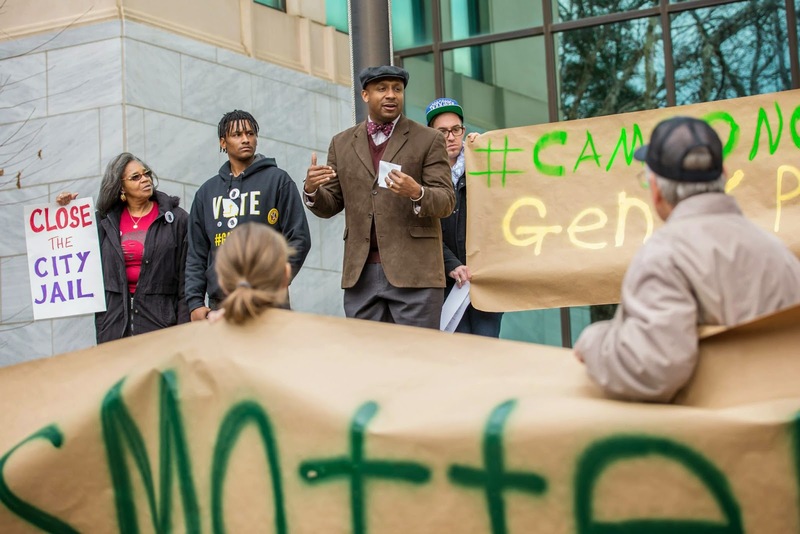 There are many issues involved that are important to many of us including the militarization of our civilian police departments, the mass incarceration of young black and brown Americans, and the mistrust of criminal justice system. We are inspired by young people who will lift creative protest in the midst of this critical moment in our nation's journey towards a more just society. Yet, we are encouraged. 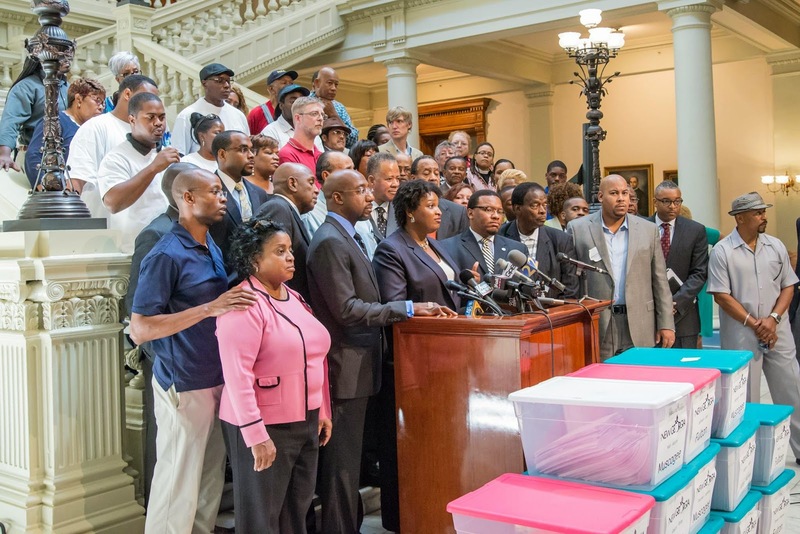 On Saturday in Columbus, we had the privilege of standing with mothers, fathers, educators, ministers, retired individuals, young people, gay and straight Georgia during the Statewide Planning for Moral Monday Georgia. One thing was clear - we all want Progress! Our analysis confirms there was no extreme right-wing mandate from the Midterm elections despite the poplar option of the media. 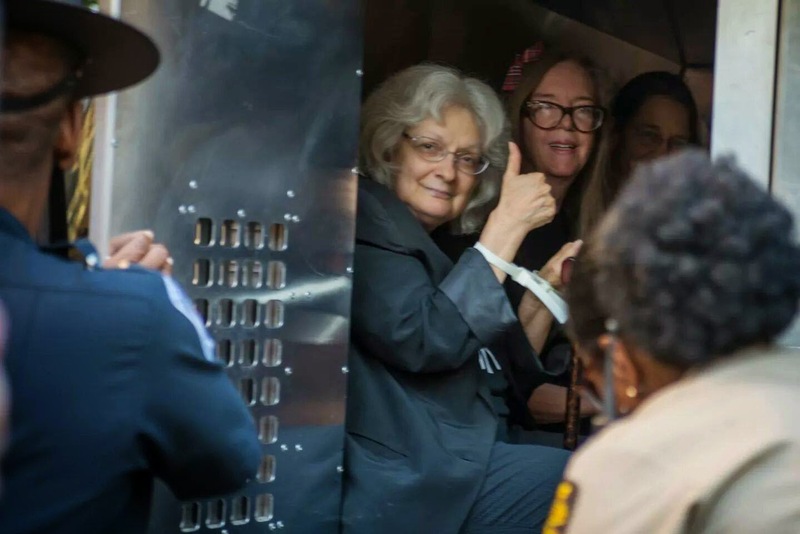 Instead, despite the failure of candidates to connect; voters endorsed bold progressive ballot initiatives and referendums on criminal justice reform and livable wages won big in those same states. 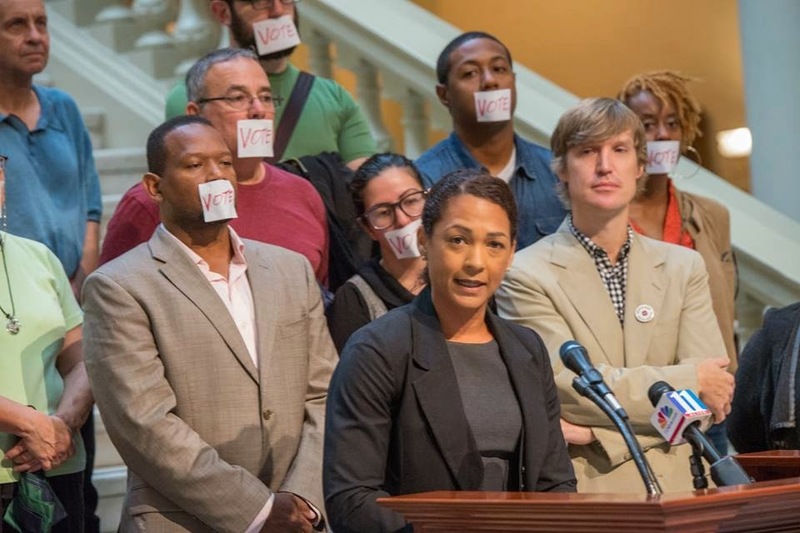 Let's launch Moral Monday Georgia 2.0! 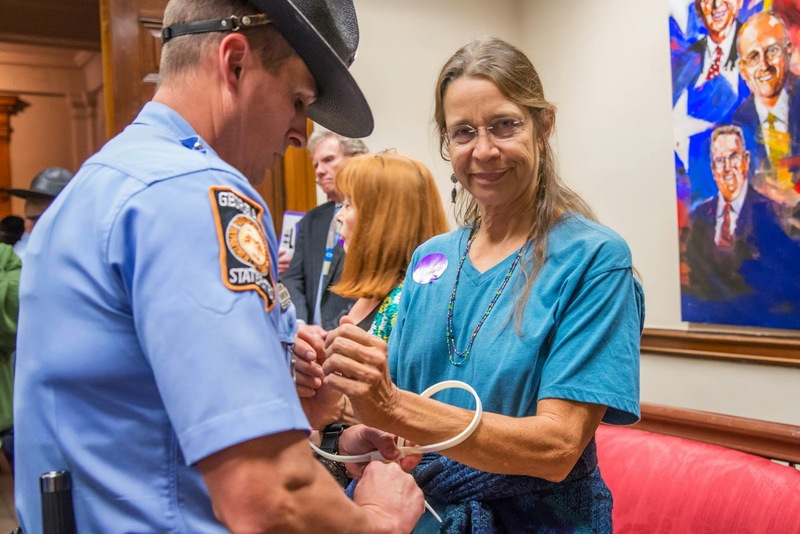 Join Moral Monday Georgia at the State Capitol for the opening legislative session on January 12, 2015. 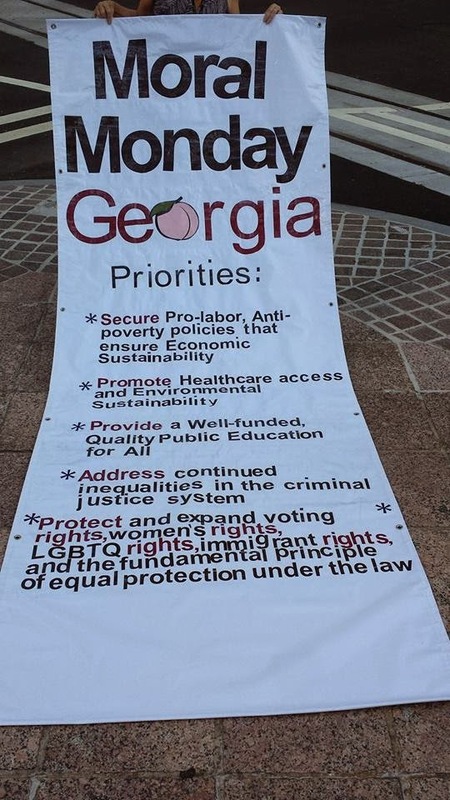 Moral Monday Georgia's platform and legislative agenda is bold and lifts our values and not our fears. From the very start of this movement, our eyes have been fixed on the long view. 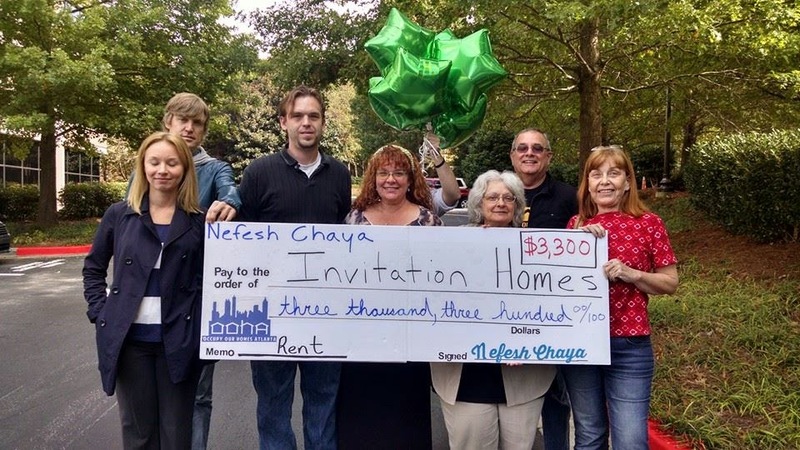 Last year we made news; this year we want to make change. Change doesn't come overnight; and one press cycle; one legislative session; or even in one election. If we are going to transform the political landscape in Georgia; we must continue work on a bold, persistent, consistent, disciplined values based agenda of change. The coming legislative session is likely to be brutal. Our most vulnerable communities will surely face new attacks. 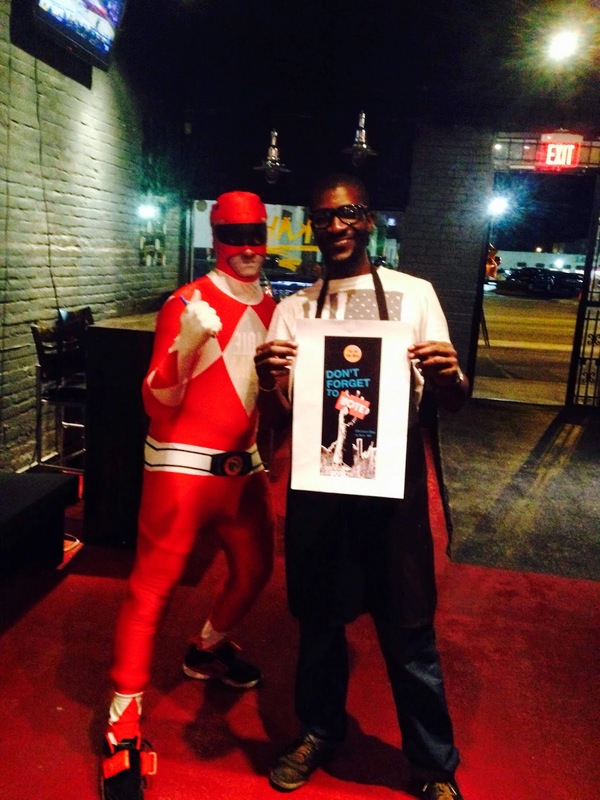 Organize aMoral Monday Team in your community. We have ideals to help connect the dots in your area. 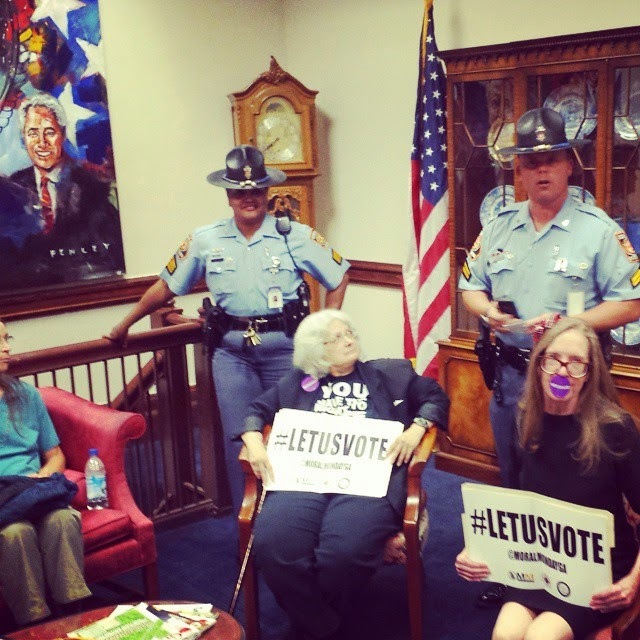 Donate to the growing Moral Monday GeorgiaMovement. Every contribution helps! Join us in Atlanta on January 12, 2015, as welift our agenda, collective voices and present our demands to the GeneralAssembly. We must move forward together and not one step back. Below is AFSC's position on the grand jury decision. 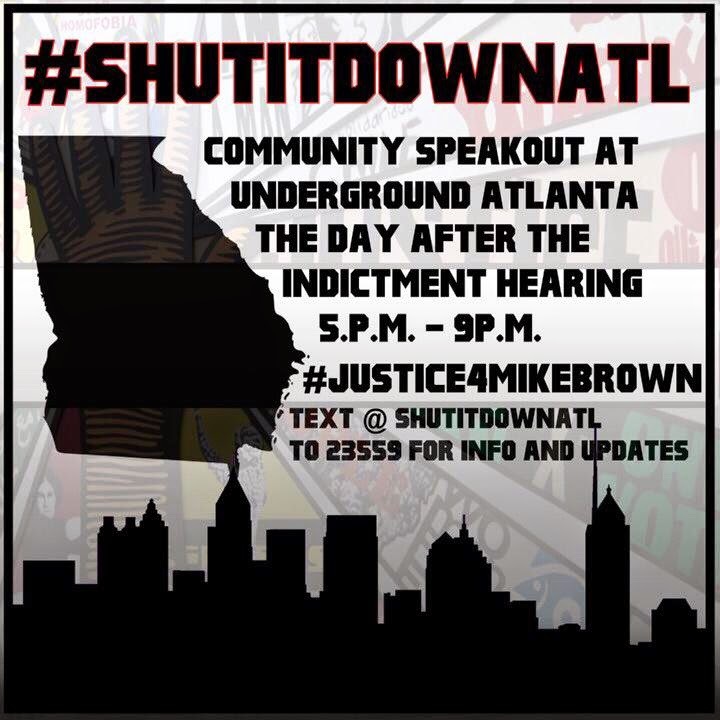 For those that are near Atlanta we want to encourage you to join the local effort and gather at 5pm tomorrow(11/25) at Underground near 5 points station. Through this tragedy we hope the local effort to challenge systemic racism continue to build momentum. Now that the grand jury has decided not to indict police officer Darren Wilson who killed Michael Brown in Ferguson, Missouri, people across the country are justifiably seeking answers. The American Friends Service Committee also is seeking clarity in this case. We remain committed to addressing the issues of militarization of police, police accountability and systemic racism revealed by the killing and its aftermath. If we are to prevent future tragedies, people everywhere should join us in these efforts. Those who pay the cost of these policies are disproportionally young people of color – and with alarming frequency that cost is death at the hands of police. Ominously, local police increasingly rely on militarized tactics and weapons not only to arrest but to contain people exercising their right to assemble and peacefully protest such tragedies as the Mike Brown killing. Weeks before today’s announcement, Missouri police and elected officials began stockpiling riot gear and “less lethal” weapons to respond to public protest. We urge protesters to resist provocations such as armored trucks, dogs, and blockades staffed by officers in military garb. We urge police officials to seek dialogue with those they swore to protect and serve, to find common ground and peaceful paths forward. Throughout our decades of work on social justice and human rights in the U.S. and around the world, we have witnessed the effectiveness of such dialogue and exchange programs. 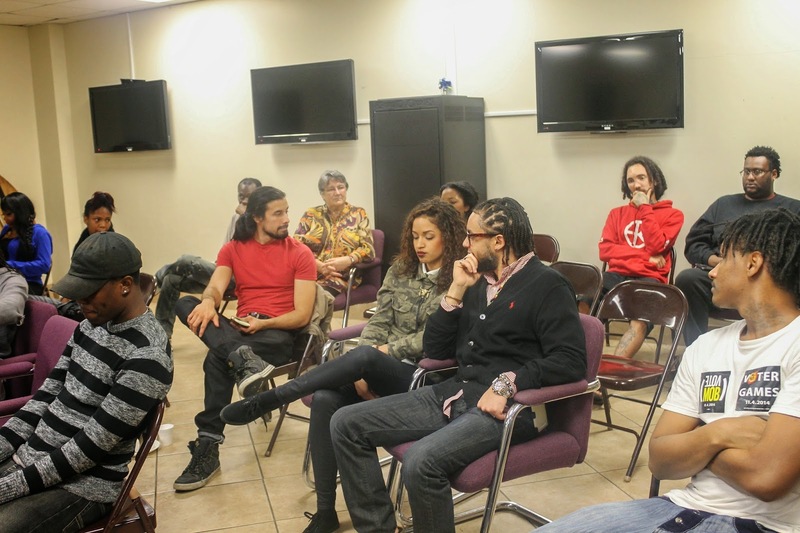 We are proud of the young people with whom we work in Missouri, who are using peaceful means to work for fundamental change in systems that perpetuate racism and inequality. 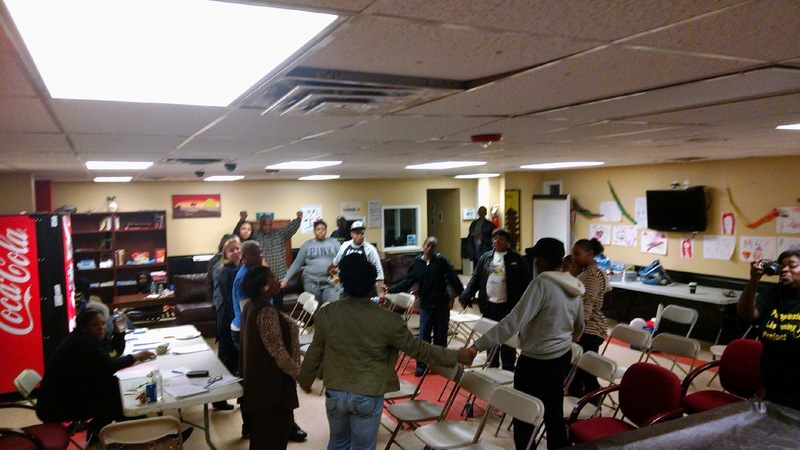 They deserve both applause and help for their leadership in healing and organizing their communities. We urge all people of good will to join us in supporting peace-building programs for these young people. 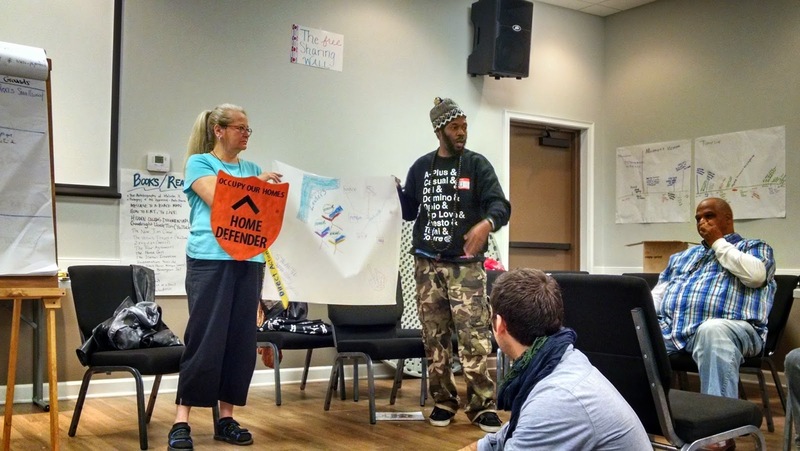 Starting just days after the shooting, AFSC has been helping youth process the killing of one of their peers through our two-year-old Peace Education Program working in Ferguson and St. Louis. We are standing with teachers and families, with the community organizations protesting, and with the family of Mike Brown. 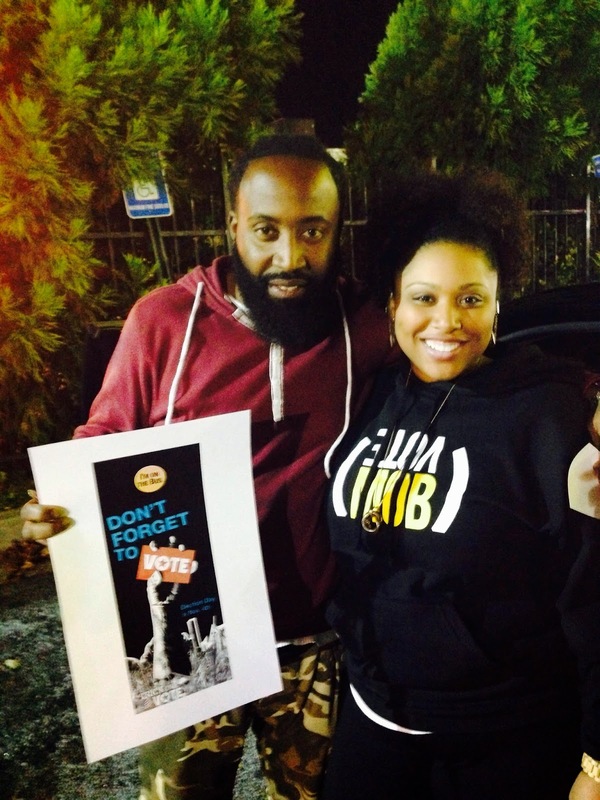 Most of all we heed and support their vision of what democracy looks like: It looks like police accountability. It looks like equal access. 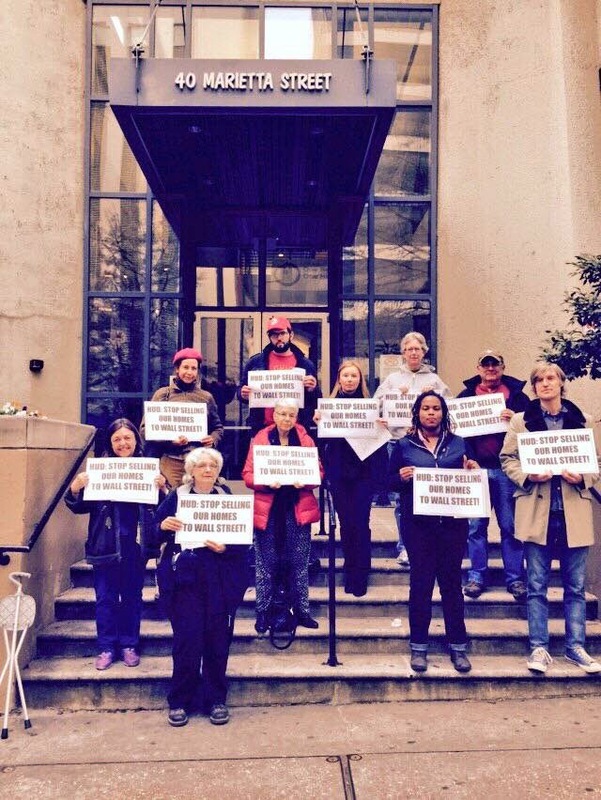 It looks like an end to mass incarceration. 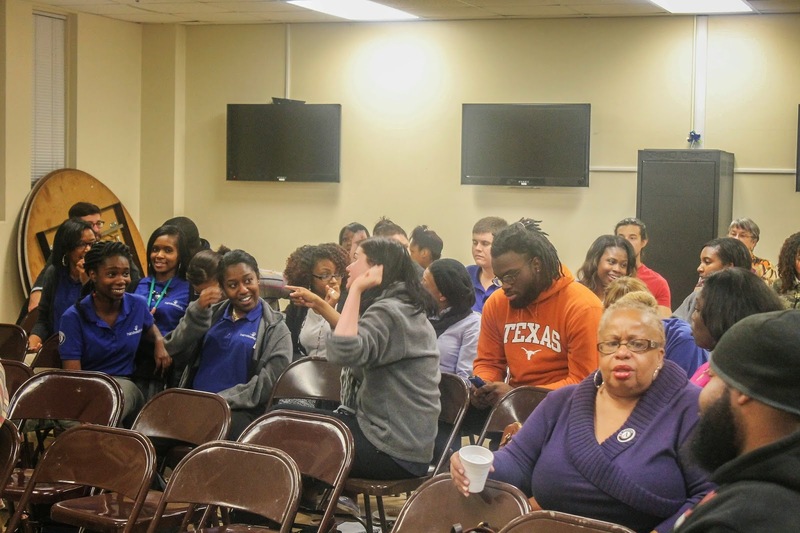 It looks like the dismantling of the school-to-prison pipeline. It looks like the demilitarization of police. 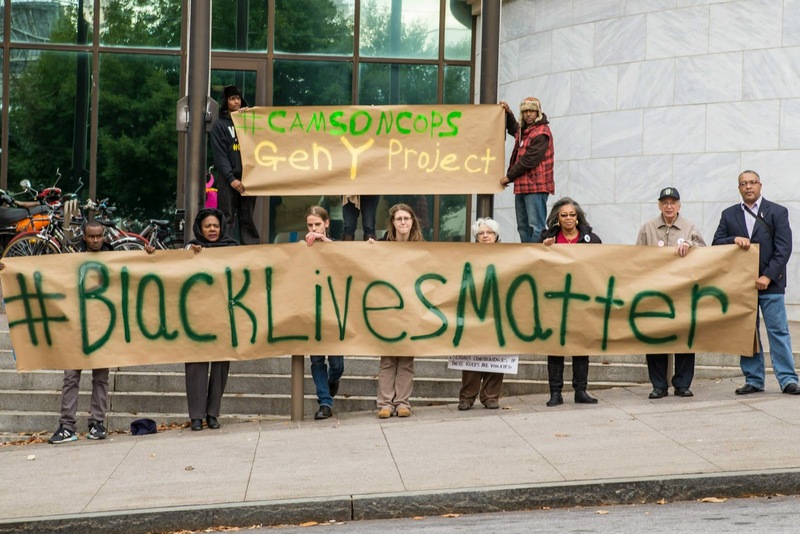 As a Quaker organization that believes in the worth of every person, we call on people everywhere to join us in addressing the systemic and structural racism at the roots of Mike Brown’s death – and that of so many others nationwide. We need to challenge policies – at every level, from the school house to the State House, from Missouri to Washington DC – that disproportionately incarcerate people of color and boost profits for corporations running jails, prisons and immigration detention centers. We also must challenge media when they stigmatize youth of color instead of acknowledging their humanity. Our nation will only prosper when we invest in all our children. Join us as we work to end militarized policing and the systemic racism that endangers youth of color and thus threatens our common future. 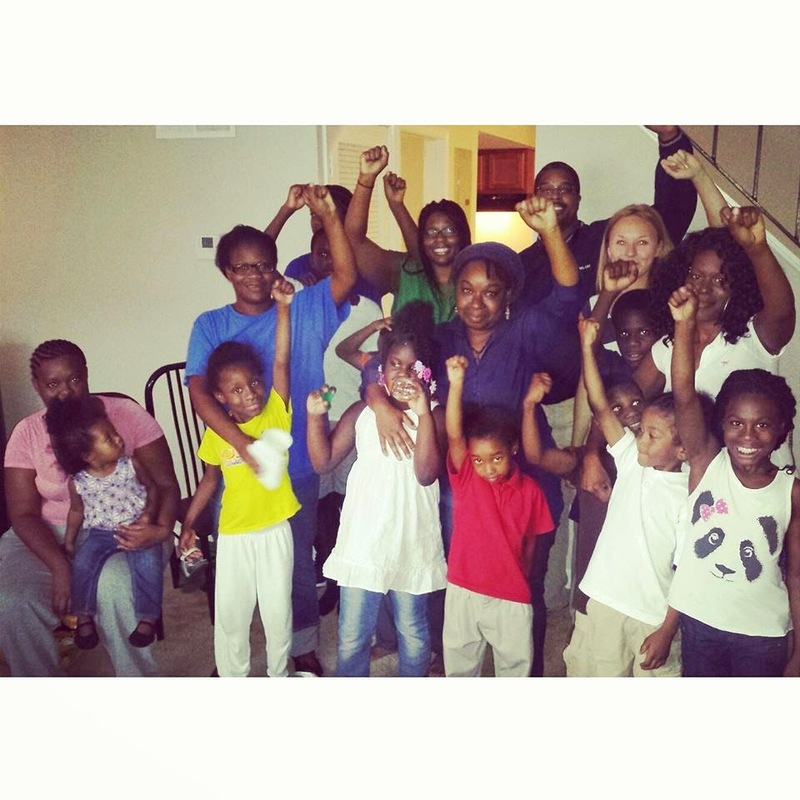 Occupy Our Homes ATL is Fired Up from Wildfire! 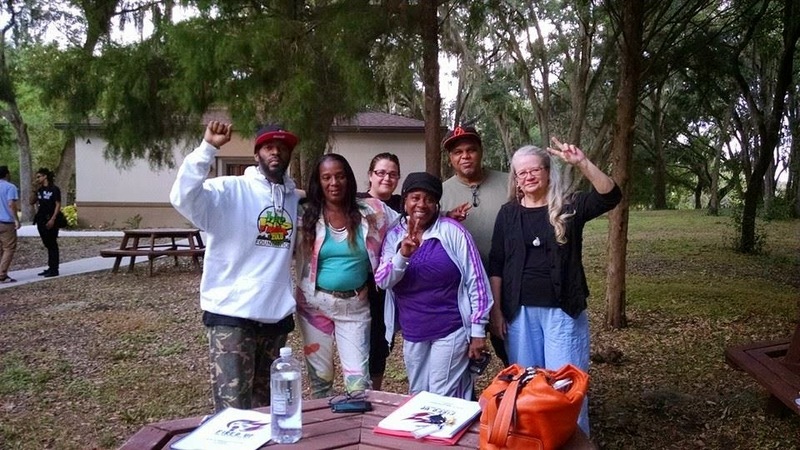 It’s was hard to be fired up at such an early hour when we set out for the Wildfire Convening 2014 in Fruitland Park, Florida; but by the end of day one we were under the palm trees and fired up for our weekend! 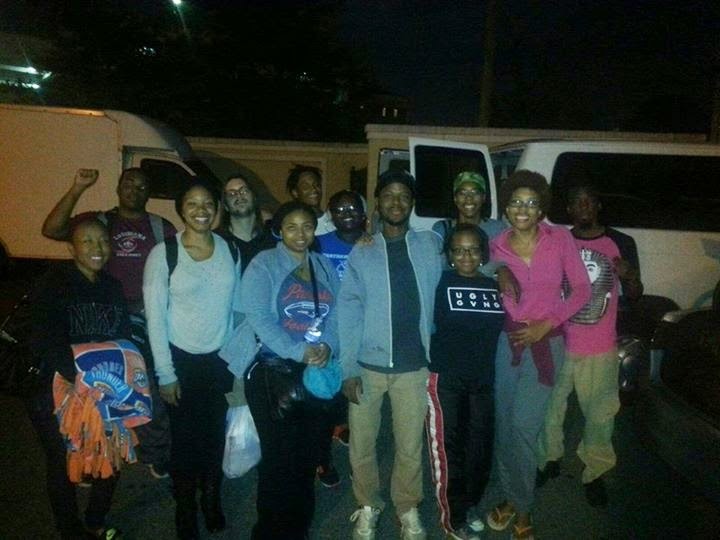 An in depth training experience the Wildfire Project brought together progressive groups from all over the country. 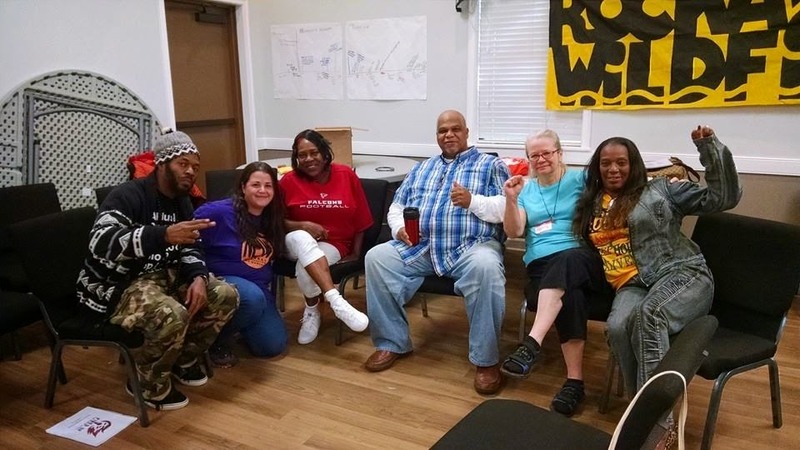 We had the opportunity to meet groups engaging in work similar to that of Occupy Homes Atlanta, and some much different, but we shared one thing in common, our desire for change! The long weekend was emotional, raw, and powerful, and brought together people from diverse backgrounds into one place of strength and power. We were able to confront and discuss our relationship with the world under the current power systems of patriarchy, white supremacy, and capitalism; and how that shapes our interactions with the world, our work, and internally. These discussions continued through-out the weekend and we discussed a better work and what those power systems could like to benefit the people, instead of oppressing them. Designed in a way that made our entire group think critically, the Wildfire training allowed the entire OOHA team to examine our own organization and the strength and power of our amazing network. 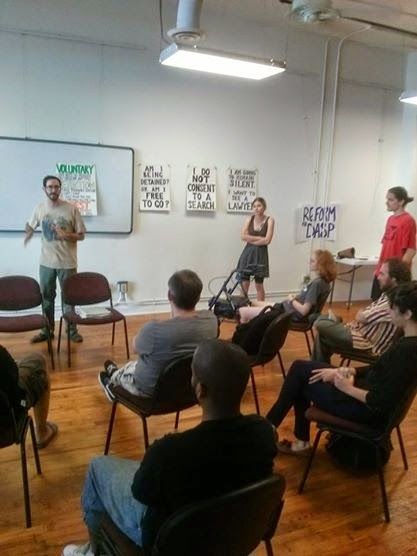 We learned and exchanged ideas about direction action, organization, structure, fundraising, and all things vital to running an organization seeking progressive change. 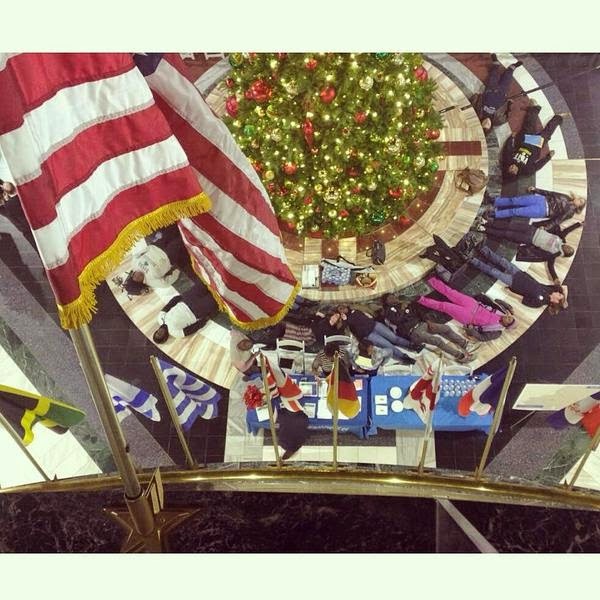 There were tears, laughter, singing, and screaming but we emerged that much more powerful. 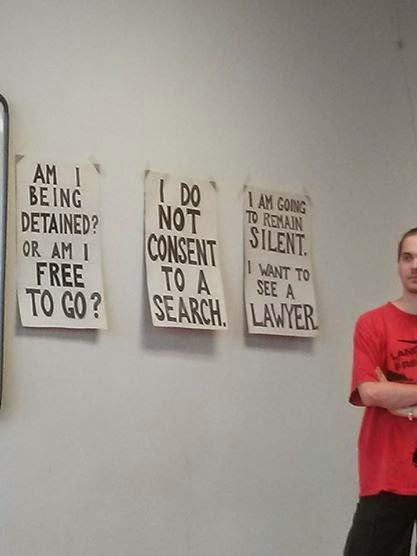 We are now thinking, questioning, planning, and adding that much more critical thought and attention to our movement. This critical analysis and strategy is what will allow us to thrive well into the future. Above all else the most important part of the trip was the people. We met Dream Defenders, the Ohio Student Association, Occupy Our Homes MN, the Wildfire Team, and Get Equal, and made commitments to support and amply each other’s work. These connections will help us build opportunities for collaboration and learning that go far beyond one weekend. We are building for a better future and it will be possible because together we are unstoppable. Want to find out what we learned? 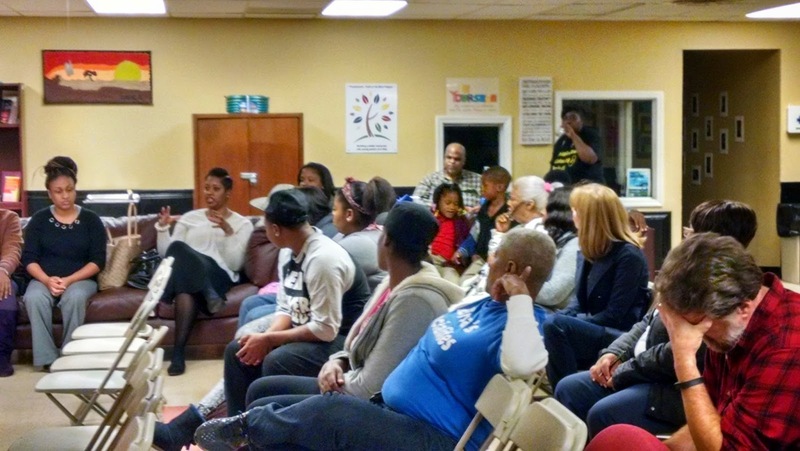 Join us for Amply Your Voice; A Storytelling Workshop tomorrow 11/20 from 7-9pm at AFSC 60 Walton St, Atlanta! 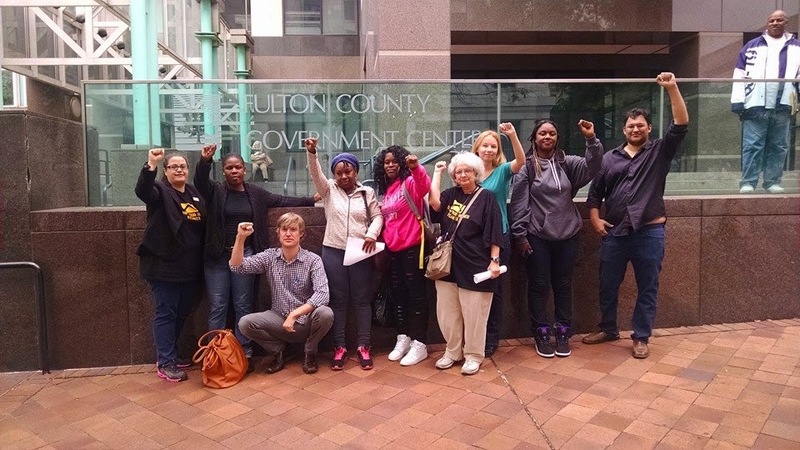 Today American Friends Service Committee joined Occupy Our Homes Atlanta, residents with the Fulton County OETH Permanent Supportive Housing Program, and representatives from Atlanta Jobs With Justice and American Postal Workers Union to deliver a demand letter to Fulton County Chairperson John Eaves office after hearing the concerns of women in the program and doing and onsite visit earlier in the week. This isn't the first time we have had serious issues with the program and their treatment of the women in it. 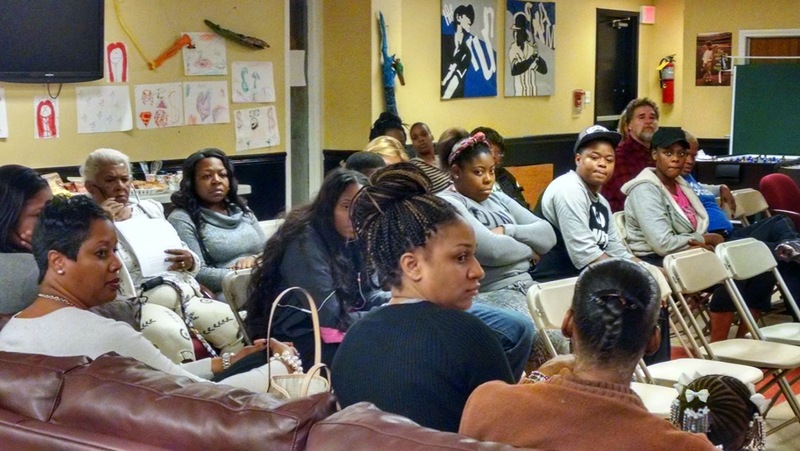 Click here to read about the last time we organized alongside women in the program. Months ago Chairman Eaves office had promised to find housing for a number of the women who refused to be displace from the community the had come to embrace, he had also promised to assist with temporary housing, both promises never happened. More recently Eaves had made a commitment to bring improvements to the program during a face to face meeting with the women and hasn't followed through with those commitments either. With a number of women's housing on the line we decided to take action with a number of women that were brave enough to be front and center with their grievances, there we many who met with us privately who did not come out of fear. 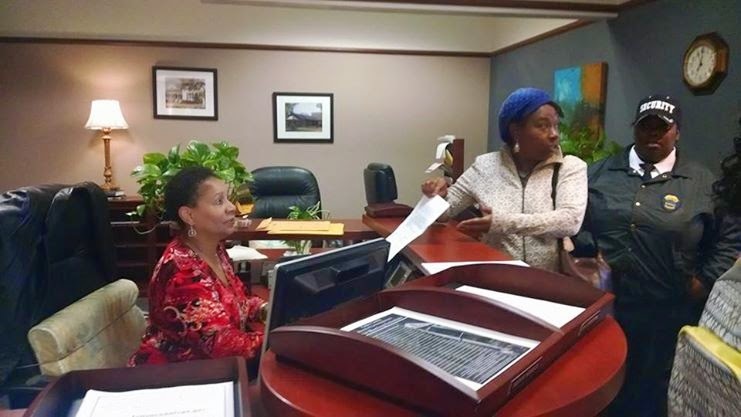 We delivered the following letter to Chairman Eaves office and we were able to meet with program staff. 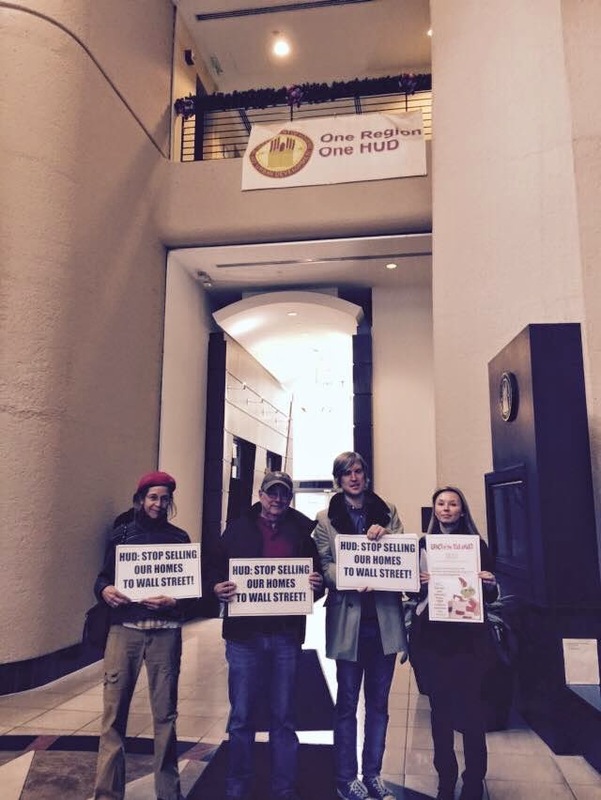 We are here today because you have the power to fix the Fulton County OETH Permanent Supportive Housing Program and clear barriers from our path to self-sufficiency. In July, you moved our families from Vine City to the airport and we pulled our children through yet another new start. 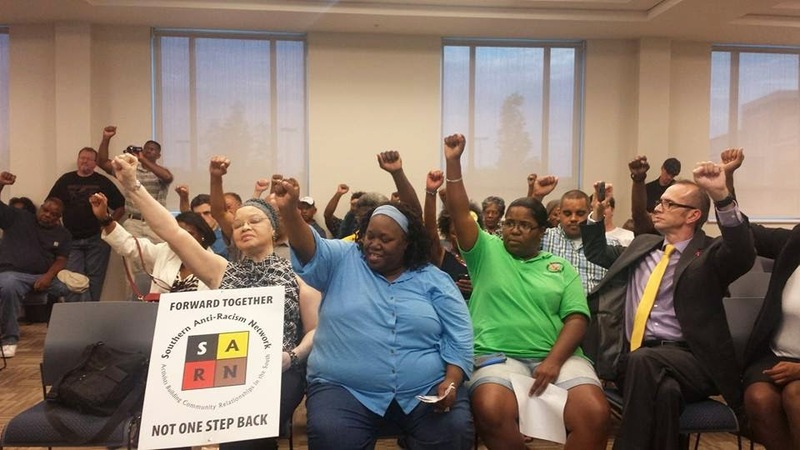 They are still struggling to find their footing in a new school and we are experiencing yet another round of staffing, program terminations, and threats. The staff says we must hold a job without access to childcare. They tell us we may not finish our degree. Every step invites termination from the program and return to homelessness. The shelters are full, Mr. Chairman. We ask that you use your power to lift our destiny out of the hands of a vindictive program staff and the employees of the Regency Park Apartments. How can you put a flesh and blood woman and her six-year old child out in the street for making noise? Every woman facing program termination must be allowed to appeal and an impartial jury must hear her case. Stop Tracey DelGado’s termination immediately. We have signatures from Tracey Delgado’s neighbors who deny she has been noisy. Program termination must not be used as a threat to coerce any woman to give up her right to freely decide or to protect the rights or the privacy of her children. If you do not allow a transparent process, the right to appeal, or a fair hearing then this is just a cruel weapon that beats us down and keeps us submissive under your control. We ask you remove all barriers to our pursuit of education to lift our families out of poverty. The promises of the program are so often unmet, are communicated so poorly, and have changed so many times, that we cannot risk relying on it solely. Please don’t cut off our opportunity to prepare in advance of the day that you decide to put us out. We ask that you allow us to watch each other’s children so that we may go to work and move our families up and out. We ask that you allow our children to play in the front of the complex like other children who live at Regency Park. You have told us to send them to the dog park. Our children are not dogs. We are asking for the right to be treated with respect and compassion by the case manager and supervisors in the Fulton County OETH housing program. We understand that there are rules to be followed and we are not asking for a handout, just stability for our families and the chance to go on. 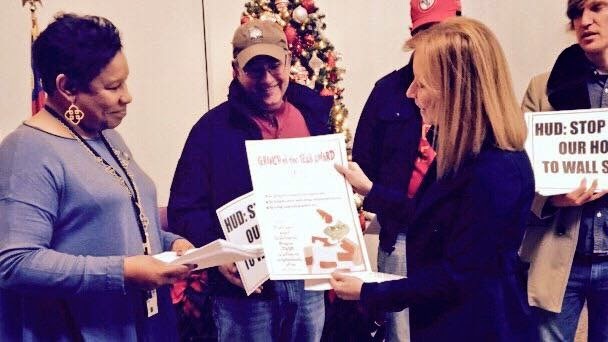 After delivering the letter we were granted a rather long meeting to hash out many of the concerns the women had. While it's clear that the program still has a laundry list of problems we are glad that the County was willing to meet with us to discuss concerns and we are happy the women of the program led the discussion. 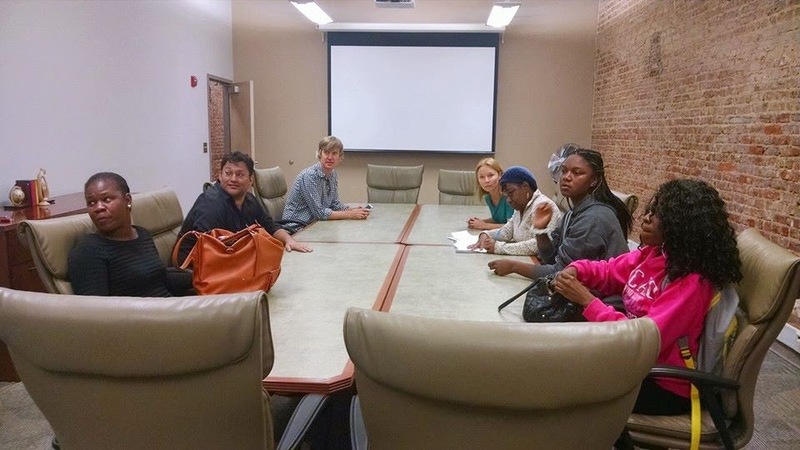 We did come to some agreements and set a time for a follow-up meeting to discuss problematic policies of the program, explore how groups like Occupy Our Homes Atlanta might work with these families, and develop a stronger understanding of how the program works. We certainly don't believe this issue is resolved, but we are hopeful that a path of resolution may have begun today. Many of the women in the program launched an online petition yesterday, and we encourage folks to check it out by clicking here. 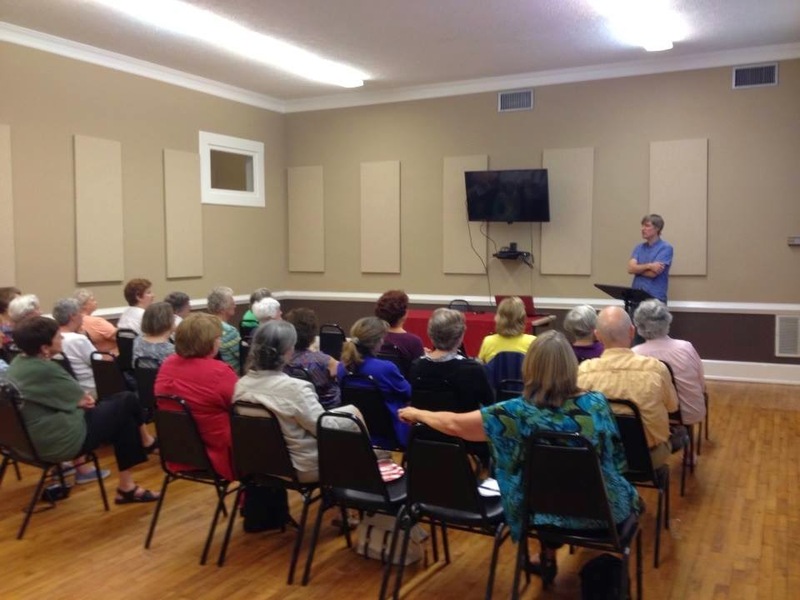 AFSC was honored to be invited to speak with the League of Women Voters of Carrollton & Carroll County yesterday. 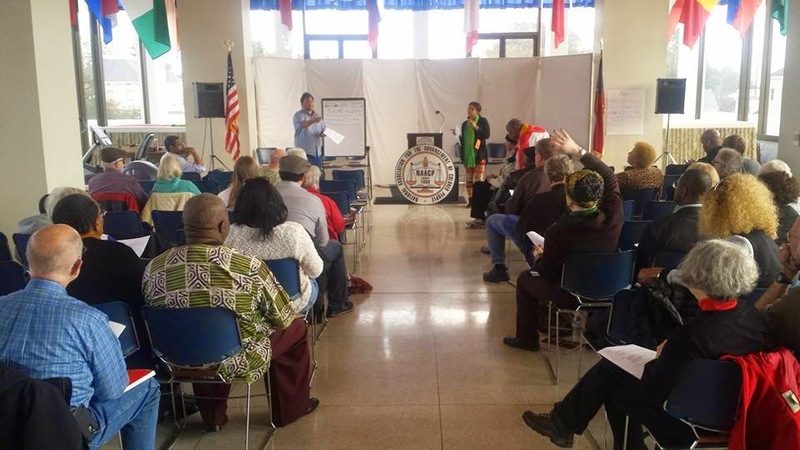 Tim Franzen, AFSC's Atlanta Economic Justice program director, used the opportunity to talk about the Moral Monday movement and encouraged LWV members to explore creative ways to build coalition with other groups in their area that they may normally not work with. We are excited to hear that several of those in attendance plan to organize an issues based march to the polls during the early voter period. 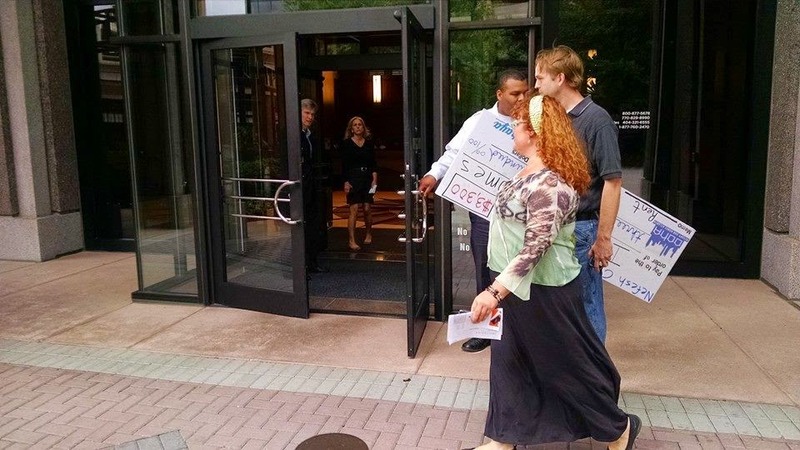 On September 9th, the public saw two disturbing attempts to silence our voices and thwart efforts to register and engage voters in Georgia. Brian Kemp, the Secretary of State, issued a broad and vague subpoena to the New Georgia Project. 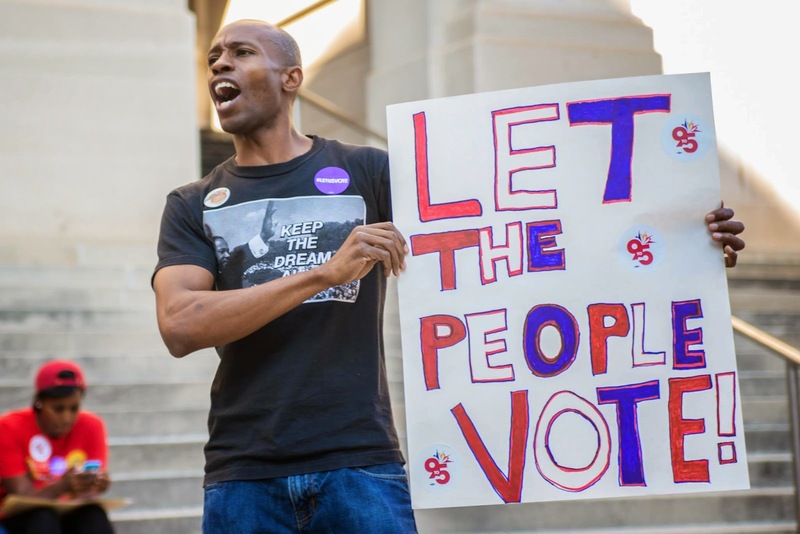 The New Georgia Project is a nonpartisan, nonprofit organization focused on registering Georgians to vote, particularly the estimated 800,000 eligible African American, Latino, and Asian American citizens of Georgia. Brian Kemp also expressed extreme disdain for Sunday voting. Last week he Secretary of State’s office has now called for an emergency hearing for Wednesday, September 17th. 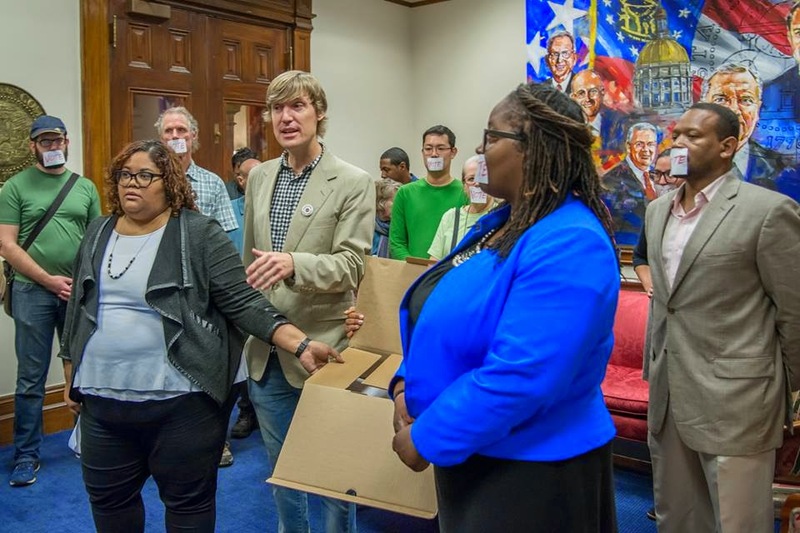 The State Board of Elections will met with almost no public notice but that didn’t stop us from packing the room and exposing what was really happening; voter suppression. 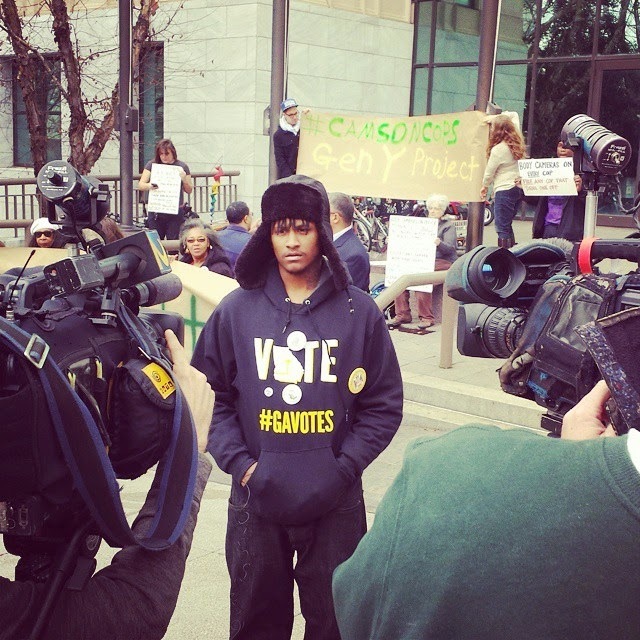 These actions, we fear, seem designed as steps to block communities of color from the polls, and successful voter registration activities by all types of organizations. However, the Secretary of State has not responded to a letter sent by multiple organizations or request to meet. Instead, he schedules a last minute hearing to get authority for subpoenas he has already issued. American Friends Service Committee worked through Moral Monday Georgia to help organize a large press conference before the hearing at the Capitol. 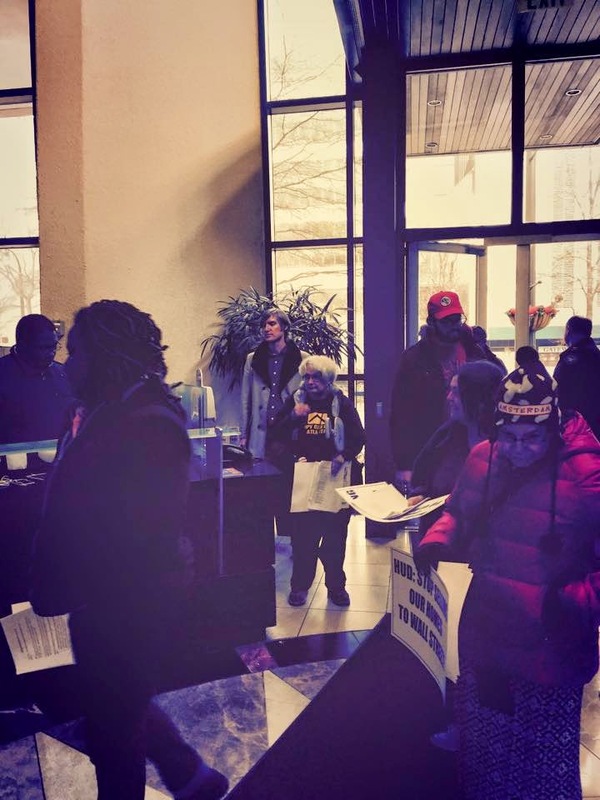 After the press conference over 50k completed voter registration forms were delivered to Brian Kemps office and we refused to leave until he met with us. At the hearing we packed the room. 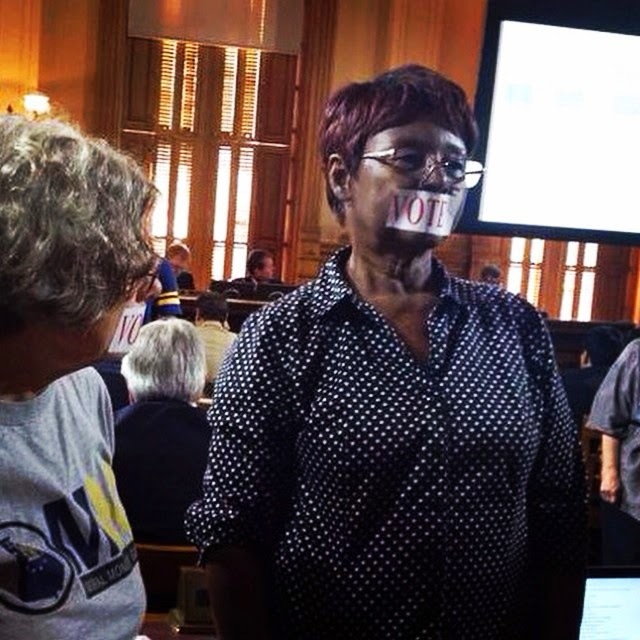 As the hearing began several Moral Monday Georgia participants stood up, put stickers that read, “Vote” over their mouths, and turned their backs on the hearing. Surprisingly no one was asked to leave. 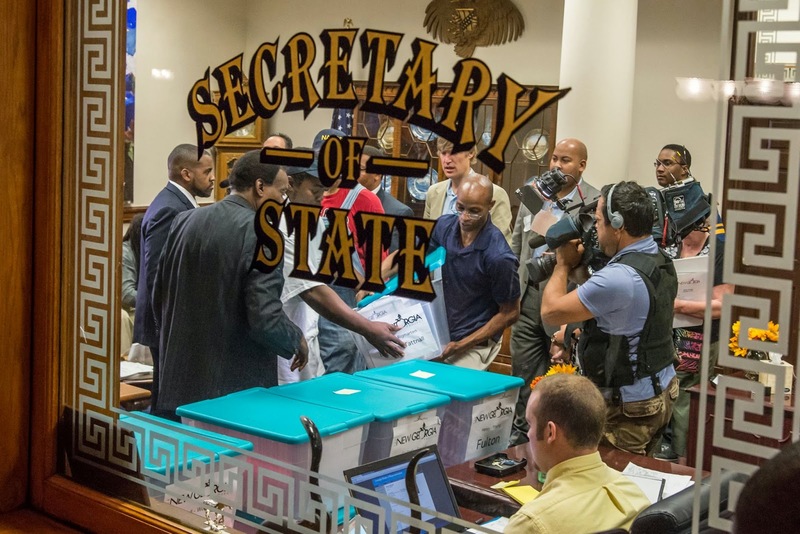 We demand that the Secretary of State get back his job of making sure verified voter registration applicants make it on the rolls successfully by the start of early voting on October 13th. 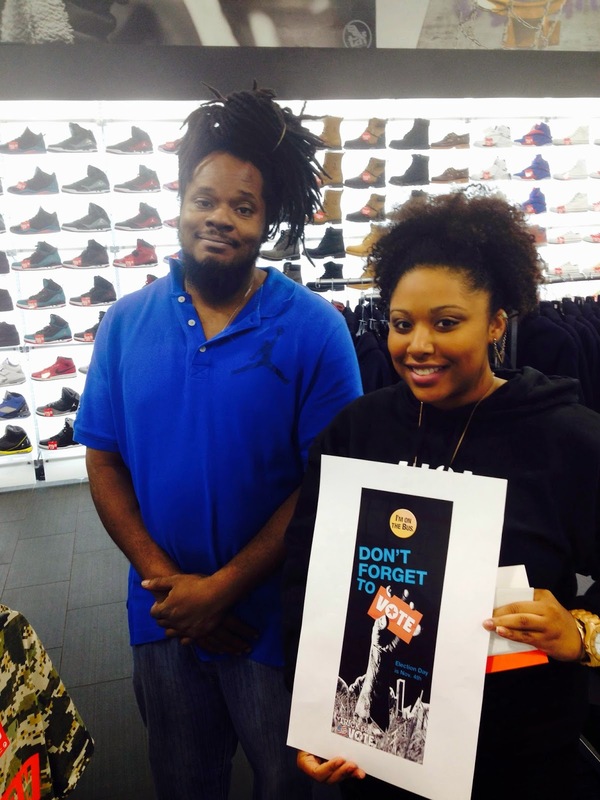 Last weekend, the Gen Y Projected invited Cop Watch of East Atlanta to provide a “Know Your Rights Training” to teach young Metro Atlantans what to and what not to do when stopped by a police officer. The presentation was both informative and entertaining with the training consisting of 4 parts and a Q&A session at the end. The four sections included what rights average citizens had in situations of being stopped walking down the street, being stopped while driving, when police knock at your door, and when being interrogated. Each section included skits of the wrong way to conduct oneself when interacting with a cop and the right way to conduct oneself complete with information to accompany suggested methods. 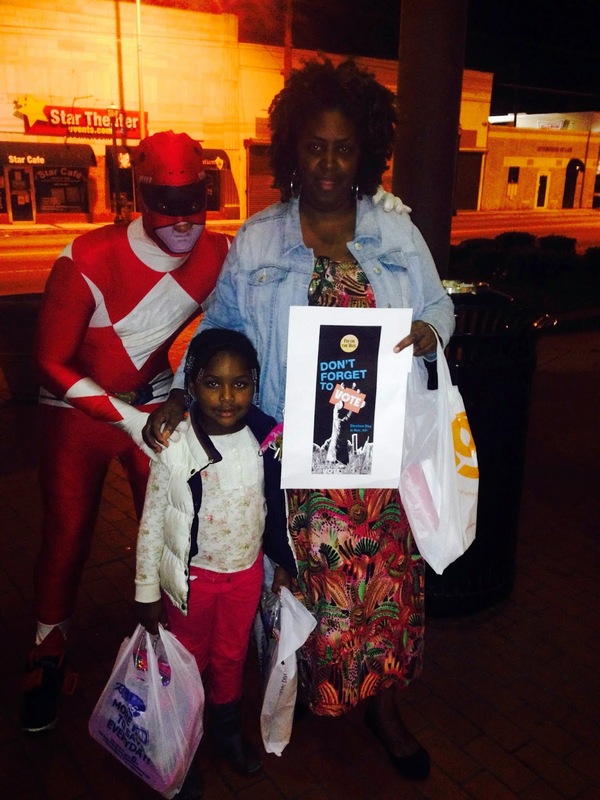 The audience was taught what rights they have as well as what rights police have depending on the situation. The atmosphere was both light hearted with many funny moments as well as very direct and specific as to why it is important for young people to know these rights. The audience was delighted to be able to engage in the training and there were members of the group #istbiggerthanyou in the audience. 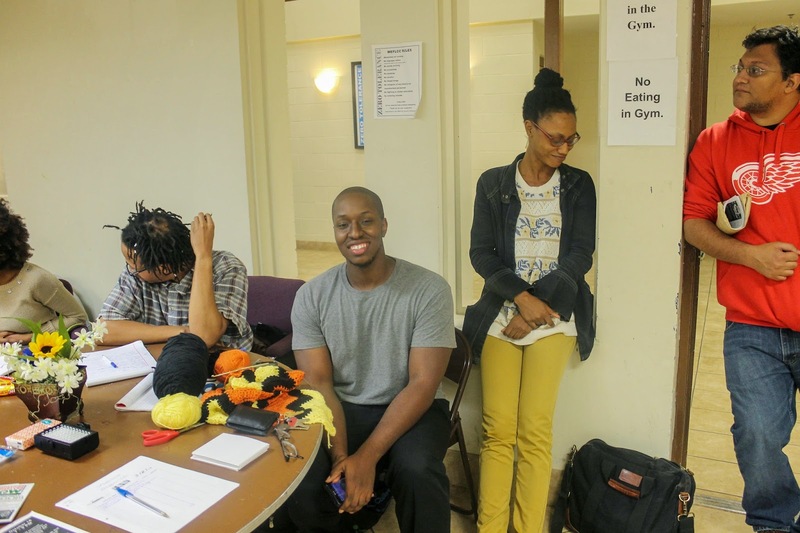 The training served as both a good bonding experience among Atlanta youth as well as an opportunity to develop practical skills that will be useful in organizing and everyday life.